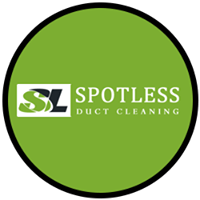 At Spotless Duct Cleaning, Duct Cleaning Melbourne is concerned about the safety and the health of you and your employees. In a closed indoor space polluted air is the main cause for various health issues that can vary from small respiratory difficulties to far more serious problems. This is bad for your business but also for the people who are working for you and for whom you bear responsibility. That is why we have committed ourselves to creating the ultimate commercial duct cleaning service that will take away all concerns about polluted air in your store, office or other business facility. Our complete service is perfect for both small office spaces and large business and public buildings that have duct systems of large size. In order to remove the deposit of dust and grime from the ducts in your building, our expert team of commercial duct cleaning specialists will use a high-end industrial grade vacuum. All our team members are skilled and licensed according to the standards of the business in order to offer you with the best possible commercial duct cleaning service. For an excellent, well-organized and reasonable commercial duct cleaning service, contact our company @1800071752.